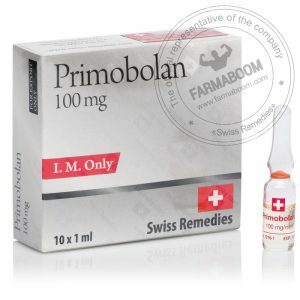 Primabol-100 is an injectable version of the steroid methenolone enanthate. An enanthate ester is used to slow the steroid\’s release from a site of injection. 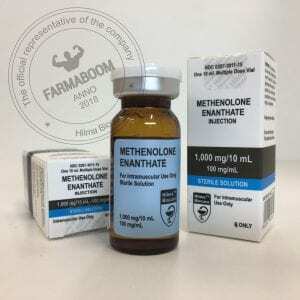 Methenolone enanthate offers a similar pattern of steroid release as testosterone enanthate, with blood hormone levels remaining markedly elevated for approximately 2 weeks. 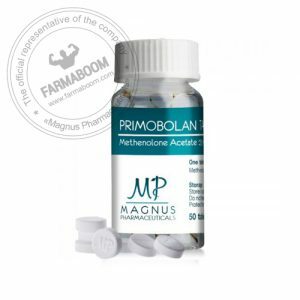 Methenolone itself is a moderately strong anabolic steroid with very low androgenic properties. Its anabolic effect is considered to be slightly less than nandrolone decanoate on a milligram for milligram basis. Methenolone enanthate is most commonly used during cutting cycles, when lean mass gain, not a raw mass increase, is the main objective. 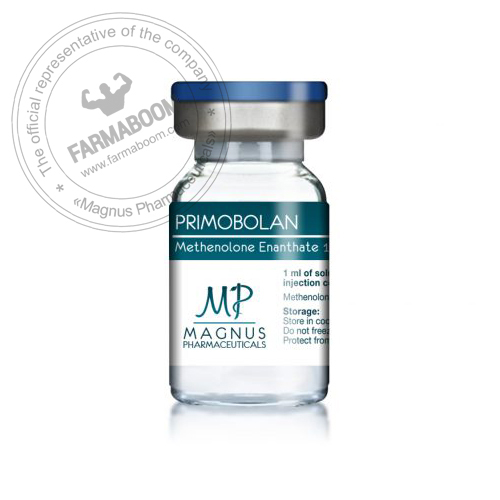 The combination of strong anabolic, weak androgenic, and non-estrogenic nature of this drug makes the methenolone enanthate a very desirable for building lean muscularity without side effects.